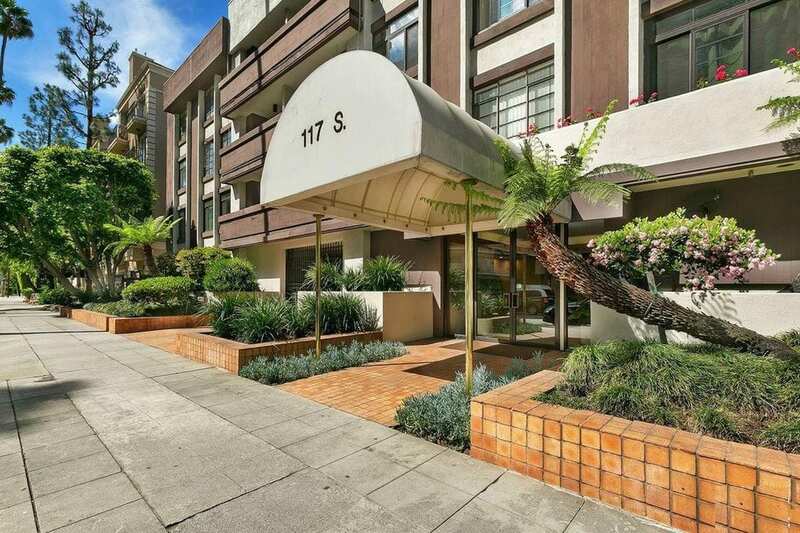 The Summerset – 117 S Doheny Dr is a 42-unit condo conversion building in Beverly Center. Built in 1972, the building was converted to condos in 1980 by Laurentian Development Co. The original condos came with wall-to-wall carpeting, draperies, ceramic tile kitchens, and balconies. This building has a Beverly Hills Look to it. I like the Awning- but don’t be fooled, no doorman here. This building has low HOAs. The HOA is currently planning to redo the exterior and lobby in the near future. One thing I like about these floorplans is the very big living rooms. 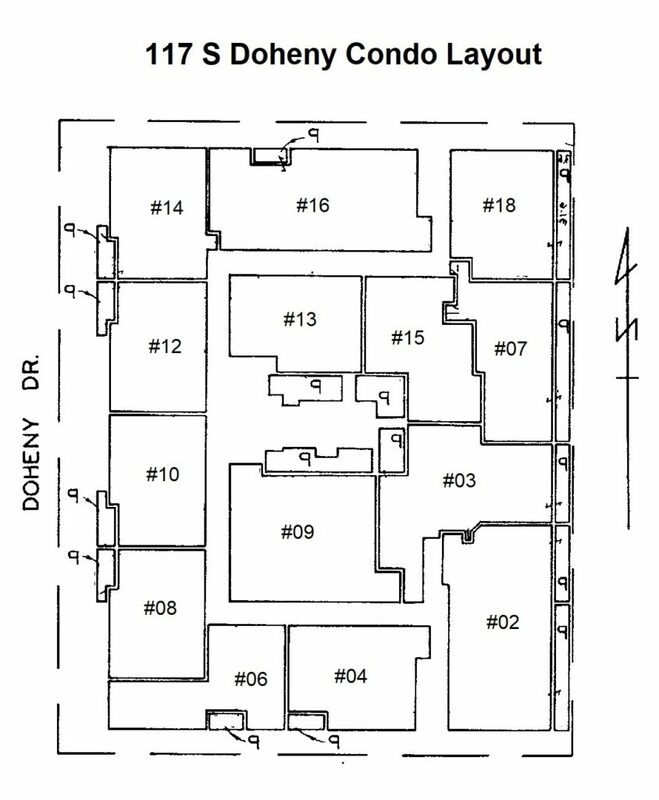 (12) One Bedroom floor plans that range in size from 700 to 800 SQFT and (30) two bedroom floorplans that range in size from 1,000 to 1250 SQFT. Prices range from $500,000 to $600,000 for the 1 Bedrooms to $700,000 to $800,00 for the 2 bedrooms. Condos 6, 8,10,12,14 are street facing. 3,9,13, and 15 face the courtyard and the 2nd-floor condos have outdoor patios. There are 4 stories, condos are the 4th floor are top-level condos. The elevator in the building is old and could use replacing. 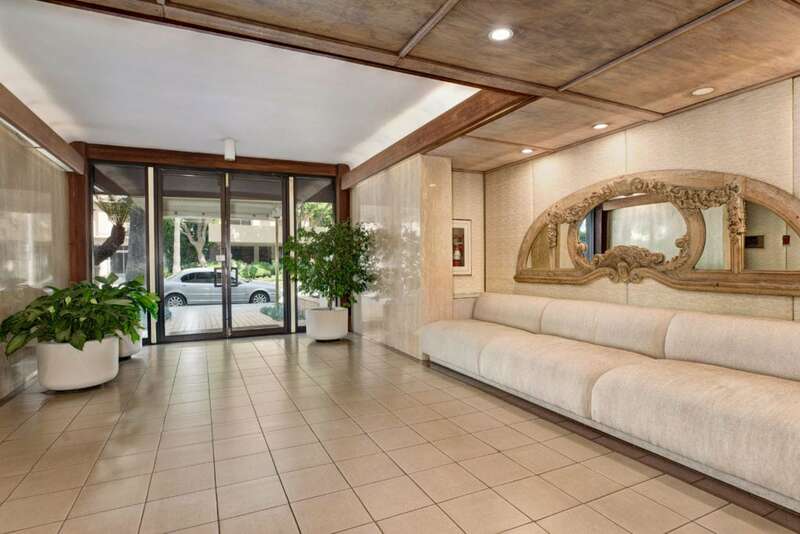 The hallways are a little dreary, however, the lower price/sqft and next to Beverly Hills location are two of the leading to buy at the Summerset. Being a condo conversion, there is community laundry and no Central HVAC. The Bedroom and living room have a Wall HVAC. 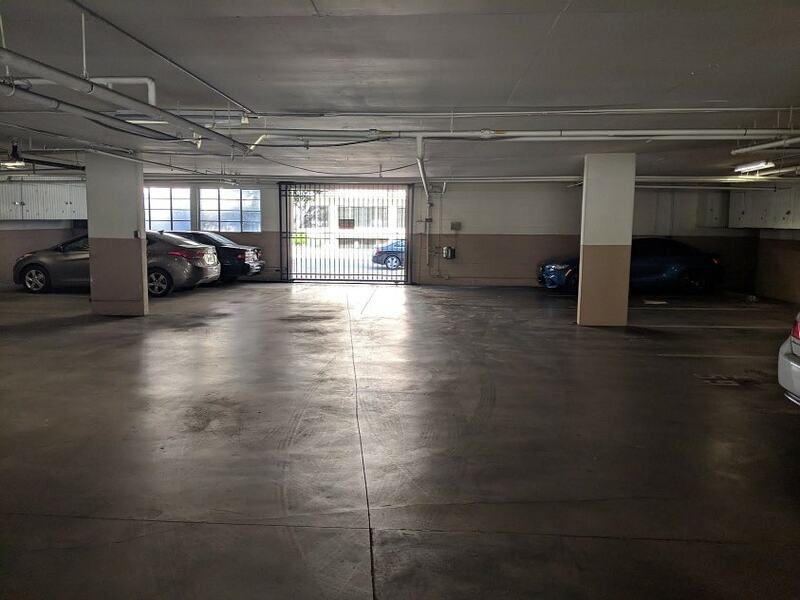 1 Bedroom condos get 1 parking space and 2 bedroom condos get two parking spaces. Two car spaces are Tandem. There are storage lockers in the garage. The building has 1 guest parking space. I will say the parking spaces seem a little smaller than normal. Big SUV and truck might not fit. The building has Community laundry however in some condos you can install in-unit laundry. The community laundry room is in the parking garage. 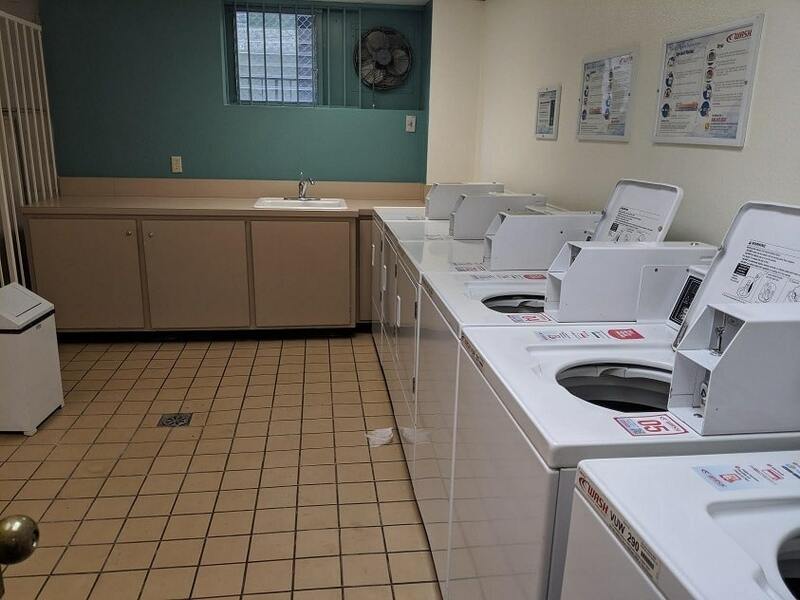 There are 3 washers and 3 dryers. HOA dues Monthly Cost? $340/mo.